McALLEN — One McAllen police employee has been “separated” from the department and placed on unpaid suspension after he and another employee accused each other of assault during a late night dispute. 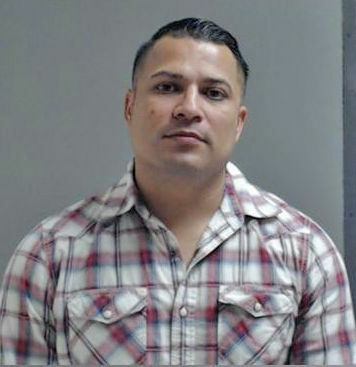 Officer Michael Ray Basaldu, 37, and McAllen Police dispatcher Brianda Gabriela Arratia, 24, both of Edinburg, each face a misdemeanor assault charge after a dispute led to a physical fight between the two, according to a news release. In the early morning hours Saturday, Arratia called police to report that Basaldu, who she was dating, allegedly assaulted her during an argument. Later that same morning, Basaldu reported that Arratia had allegedly assaulted him during the same argument. In a release sent out Thursday, McAllen police officials said Basaldu had been “separated” from the department, and that he had been placed on unpaid suspension. 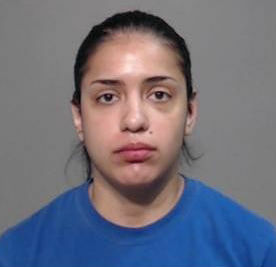 According to the criminal complaint, Basaldu and Arratia began to argue shortly after leaving a McAllen bar around 2 a.m.
“Ms. Arratia stated that while at a local bar in McAllen, Mr. Basaldu became jealous because she was having drinks with some of her other friends who were there,” the complaint states, further noting that the couple left the bar just as it was closing at Basaldu’s request. It was soon after and on the way home that Basaldu and Arratia argue. Although Arratia called a friend who did not answer, her cellphone captured the argument. Arratia can be heard crying and saying in the recording, “Michael stop,” and “stop hitting me,” according to the complaint. It was at the intersection of Second Street and Trenton Road where Basaldu allegedly began kicking and punching Arratia after asking her to exit the car and pushing her to the ground. Arratia told police she also threw punches at Basaldu before she agreed to get back in the car with Basaldu, the complaint further states. Basaldu, who denied assaulting her but could not explain injuries she sustained, told officers he was attempting to get a heavily intoxicated Arratia back in his car to drive her home. The altercation escalated, with Arratia stating that, in her frustration, she pushed his head against the driver’s side window before he punched her on the left side of her face. On Wednesday, both Basaldu and Arratia were formally arraigned on a Class A misdemeanor assault charge and face a maximum fine of $1,500. This report has been updated to correctly reflect that only one employee has been suspended.